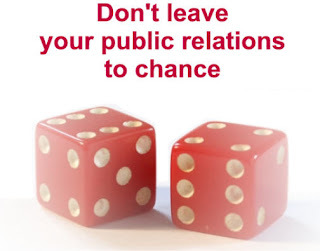 Why use PR Why Care About Public Relations? Because your customers care. Your competition probably care about it, too. Public relations can do so much for a company, and yet, like social media, larger companies may see PR as an alternative to what they can already afford in advertising. (It is not an alternative to advertising.) PR is better than advertising. (Yes, I'm probably a bit biased.) It may take a bit more creativity and elbow grease, but the rewards and benefits of PR far outweigh advertising or marketing activities. I think you get the point. How does PR attain the above? By being the contact person of the company. By being aware of customers online. By being responsive to those customers online. And by being truthful, transparent, and engaging. With things like social media use, press releases, websites, blogs, etc., companies can be more connected with their buyers online, be more personable, and more personified. As has been said time and time again, PR is more trustworthy than advertising. However, with the changes in technology, companies are more in control of their PR and are able to be more involved in the public relations process. In the past, companies were reliant on the media to cover them in a publication, and that was PR. This sort of PR was more credible than advertising because it was coming from another source. The same is true today: advertising doesn't instill credibility or trust. In fact, it can often do the opposite. See the comments here about Toyota's attempts to rebuild its brand after their safety fiasco. What was a valiant effort to say "we're making a change" came across as a rather money-wasting endeavor. Had they simply shared with others, done interviews, and communicated with their customers online about this change in spending to increase safety, WOM (word of mouth) may have done more for them than a costly TV ad. As can be seen above, public relations today involves more things than simply getting mentioned in a publication. It involves social media, where a company can represent itself and be its own identity there. Companies can also have a blog, where they write about their company, their industry, etc., and try to set themselves apart from the crowd as a trusted source of information. This is also referred to as the process of positioning oneself as an authoritative figure. Over time, if you write on a subject, share information, or offer advice, people being to trust you and see you as a knowledgeable, go-to source. Take this blog, for example. I often get emails asking for advice because of the success I've had in PR. I have little experience in PR, but my knowledge base is rather large due to the fact that I've been writing on the subject for so long. Surprised? Don't be. I don't pretend to be a PR expert with years and years of experience, but I do accept my role as a source of PR information. So, as a company looking to increase followings, entice buyers to switch to your brand or become a loyal customer, or to simply share what you have to say, know that PR can be a great outlet because of the many, many places you can talk, communicate, and converse. What's your take? Why care about PR if you can afford advertising?